Below is a list of current weekly "open" group rides in Broward, the list is updated periodically. 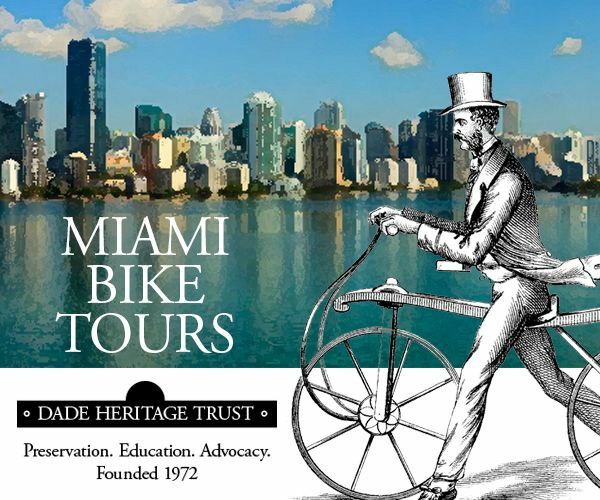 The goal is to have every "open" group ride listed here and providing a great resource to local cyclists which are looking to ride with a group and/or to tourists visiting South Florida seeking to do the same. Keep in mind that unless marked "social", most of these are hard training rides geared towards advanced riders, racers and those that have group riding experience. Ride at your own risk and assume all responsibility for yourself and your equipment. Helmets and lights are highly recommended. Check with the sponsoring organization or bike shop for specifics about any rides. Some rides have no leader and are simply "pick-up rides". If you get dropped or have mechanical issues you are very likely to be left behind on some of these rides. Bring an appropriate bike in good working order, water, energy food, spare tube, pump & tools. Bringing a mobile phone and cash is also suggested. It's a good idea to confirm dates, time and any specific requirements. Disclaimer: Bicycle riding is an inherently dangerous sport. The responsibility for each riders safety, fitness and the soundness of his or her bicycle lies solely with each rider. 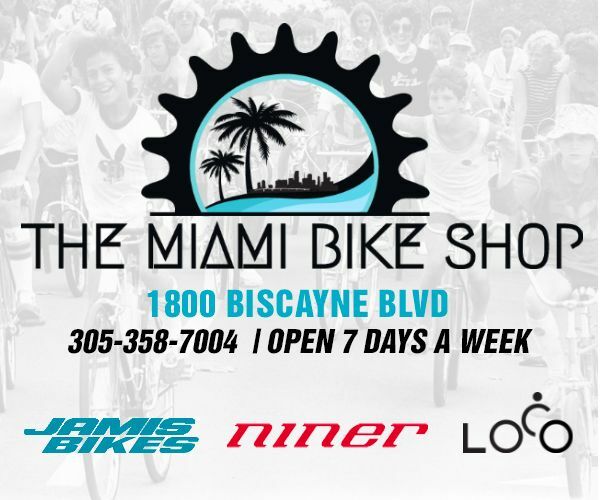 The weekly rides are open to the public and The Miami Bike Scene does not organize, sponsor, nor assume any liability for your participation in these rides. * These are approximate average speed ranges experienced in the pace line, sprint speeds can be considerably faster than shown. Description: South Broward Wheelers weekday morning ride with various routes, speeds, and destinations. Description: New rider orientation and development. 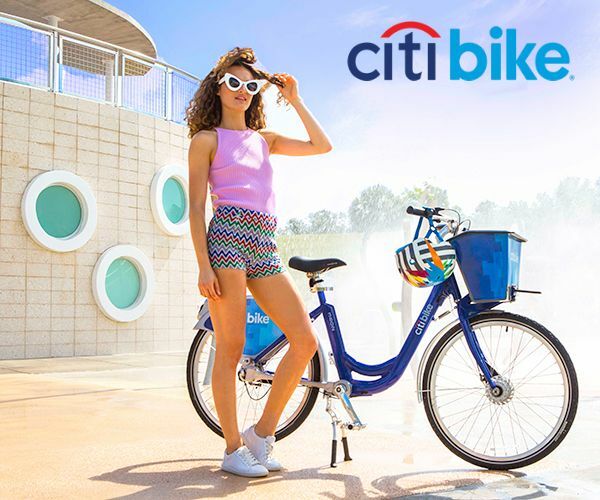 FREE admission to the velodrome, bike, and helmet rentals, and free riding lessons! 5pm to 6:30pm is Junior riding only. Description: Social ride followed by happy hours beers at the brewery until closing. Description: Ride up A1A to Lake Worth and back. 45 miles. Description: Ride up A1A and back. 30 miles. Description: Fast loop. 22.5 miles. Description: South Broward Wheelers lap training ride within Markham Park. Description: Fast training ride. 25 miles. Description: Laps inside park. 20-25 miles. Description: Fast loop around Pembroke Pines. 25 miles. Description: Endurance gravel training ride on Conservation Levee Greenway. 15-30 miles. Description: A quick ride around eastern Fort Lauderdale. 20 miles. Description: Speed varies according to the group. Lights required. 25 miles. Description: Fast ride with stop for tacos and beer. 20 miles. Description: Temp ride, 19-23mph with one sprint zone. Description: A1A southbound to 17th St then north up to Hillsboro Inlet and back. 25 miles. Description: Moderate - Tempo. 20 miles. Description: No drop training ride, Parkland route. 30 miles. Description: 20-30 mile ride up A1A to Boca and back. Description: Evening ride, 22-24mph steady pace. 37 miles. Description: Laps inside John U. Lloyd State Park. 25 miles. Description: No drop ride. 30 miles, optional 21 miles. Description: Social ride, moderate pace, lots of stops, all bikes welcome. 15 miles. Let's Ride on Wednesday Too!!! Description: Small group with various routes and distances. Description: South Broward Wheelers sprint training ride within Weston and Southwest Ranches. Description: Fast urban ride. 19 miles. Description: Fast ride. 25 miles. Description: Social ride with beers at the brewery at the end. Level: This sport will improve your bike handling skills. Description: Players ride bicycles and use mallets to strike a ball into a goal. Description: Easy loop. 20 miles. Description: Quick smaller sized group. 35 miles. Description: South Broward Wheelerss weekday morning ride with various routes, speeds, and destinations. Description: Large social group ride around Fort Lauderdale with an estimated 300-500 riders. Description: Family friendly slower social ride around Hollywood with an estimated 50-100 riders. Description: Social ride stopping for food & drinks post ride. Description: Controlled pace, no drop ride. Description: Fast ride thru Cooper City, Southwest Ranches, Pembroke Pines, and Miramar. 40 miles. Description: West Boca route. 35 miles. Description: Fast training ride north to Boca with some turning around at Spanish River, others proceed to Palm Beach. 35-76 miles. These ride also takes place on major holidays, could fall on a weekday. Description: 2 group rides to Weston and back. 42-55 miles. Description: No drop ride with various speed groups. 20-30 miles. Description: No drop group. 36-48 miles. Description: Ride north along A1A to Lake Worth. 44 miles. Description: Team time trial style riding and attacks, everyone must rotate, no hiding. 70 miles. Description: 3 different groups, various speeds. 20-40 miles. Description: Various levels, ride to Parkland. 45 miles. Description: Training ride with Galiz Team with SAG for members. 45 miles. Description: Weekly Saturday morning ride with various routes, speeds, distances and destinations. Description: Every second Saturday! South Broward Wheelers ride on Conservation Levee Greenway. 27 miles. Description: No drop ride, stops for flats and mechanicals. 50-55 miles. Description: Large peloton, likely no stops for flats and mechanicals. 52-56 miles. Description: Beginner / intermediate ride, speed varies based on group skill level. 15 miles. Description: Slow paced social ride, with stops for drinks and food. Description: Fun & social ride with stops for beer and food. 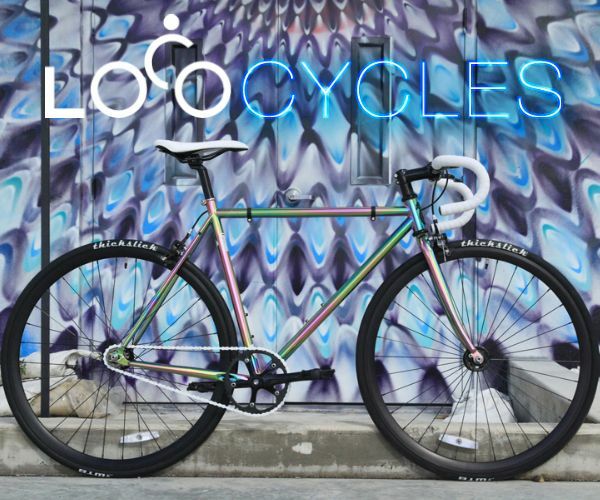 Lot's of custom bicycles. Description: South route, three groups to choose from. 30, 45, & 60 miles. Description: Fat tire no drop ride with various speed groups. 18+ miles. Description: 3 different groups, various speeds. 28-35 miles. 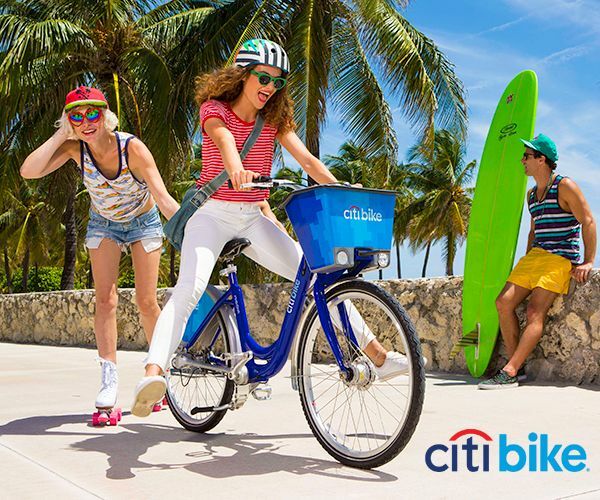 Description: Ride up A1A to Spanish River and back. 42 miles. Description: No drop ride, ride up A1A and back. 25 miles. Description: No drop ride, stops for flats and mechanicals. 38-42 miles. Description: Large peloton, likely no stops for flats and mechanicals. 40-42 miles. Description: South Broward Wheelers ride with various routes, speeds, and destinations. Description: Sunday recovery ride with A & B teams with SAG for members. 45 miles. Description: Smaller group. Similar route to BiciHangeo ride. Slow pace, stop midway, all bikes welcome. 15 miles. Not on the list? Contact us if you wish to submit a ride.